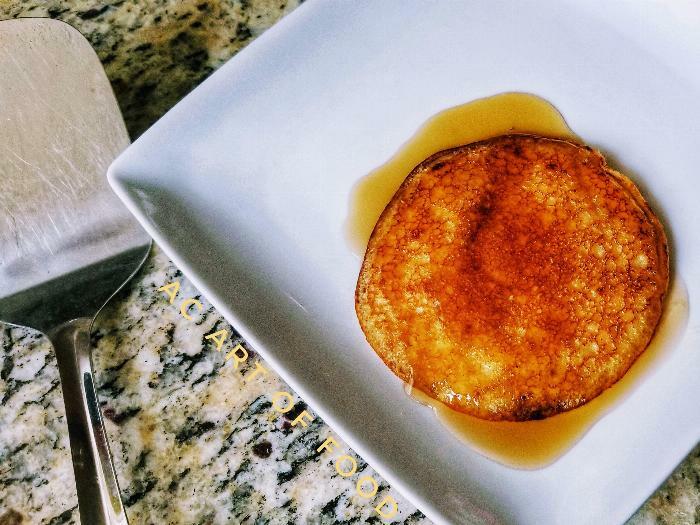 I was looking for a delicious way to welcome the season for breakfast and created these Fall Pumpkin Spice Protein Pancakes! Unlike your standard pancake, these are full of texture and the warm taste of Autumn. And they have the nerve to be better for you than your standard white flour based pancake too! These are a must try! 2Combine all dry ingredients in a mixing bowl. 3Create a well (hole) in the middle of the dry mix. 4Add remaining wet ingredients to the well you created in the bowl. 5Mix well all bowl ingredients- not over mixing. 6Pour batter to your desired diameter onto the griddle/pan. 7Wait for edges to raise a bit and turn brown- flip (approximately 1 1/2 minutes per side. Enjoy this Fall treat with butter and maple syrup! Topped with spice apples is also amazing!